One of my favourite uses of AspectJ is to generate compile-time error messages. This allows you to provide guidance in the IDE for developers writing new code within a framework or library. Here’s a quick example. BaseDTO is a base class that developers will extend. It’s used with a framework that requires a no-arg constructor (Jackson in this case, but it’s a common requirement), but when constructed explicitly, the UriInfo parameter is mandatory. We can’t express that requirement in normal Java. As a result, developers can waste a lot of time debugging a new subclass. AspectJ to the rescue! What’s a domain model for? Intro from 2018: I wrote this article in 2009 and it’s been sitting in my drafts ever since. But I was inspired to look it up again by https://dzone.com/articles/the-secret-life-of-objects-information-hiding, and negatively inspired by https://medium.com/@cscalfani/goodbye-object-oriented-programming-a59cda4c0e53. So here it is all these years later. There’s a bit of a debate in the CF OO community. OO is good. OK, what’s it good for? 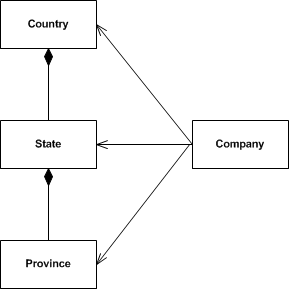 You can have an OO domain model to capture all your business logic. What business logic? All I’m doing is inserting and updating records. Etc. Then there’s all discussion about the “anemic domain model” antipattern. I want to make my beans less anemic, but I just can’t find anything to put in them! Maybe domain models are only useful for sophisticated, simulation-based apps? CRUD apps don’t have enough business logic. Right? Maybe not so right. My CRUD apps have lots of business logic. If I trawl through my database schema and pull out all of the constraints, defaults, foreign keys etc, that adds up to a lot of business logic. If I went the whole hog and added triggers to enforce all the more complex invariants, I would have a complex, rich domain model implemented in my database schema. And that’s without any of the personified simulation-style objects that we think of as being the sweet spot for complex domain models. Some of the data modelling people insist that this is the only way to implement a domain model. Use database constructs for invariants, and put all the calculation logic into stored procedures. Maybe that’s the way to go for a pure CRUD application. The database will throw an exception if I violate any constraint, so my CRUD application just needs to catch those and react. However, any SQL database is such a miserable development environment that I really don’t want to lock myself into that scenario. Let’s go to the other extreme and implement all of these invariants in our OO application. 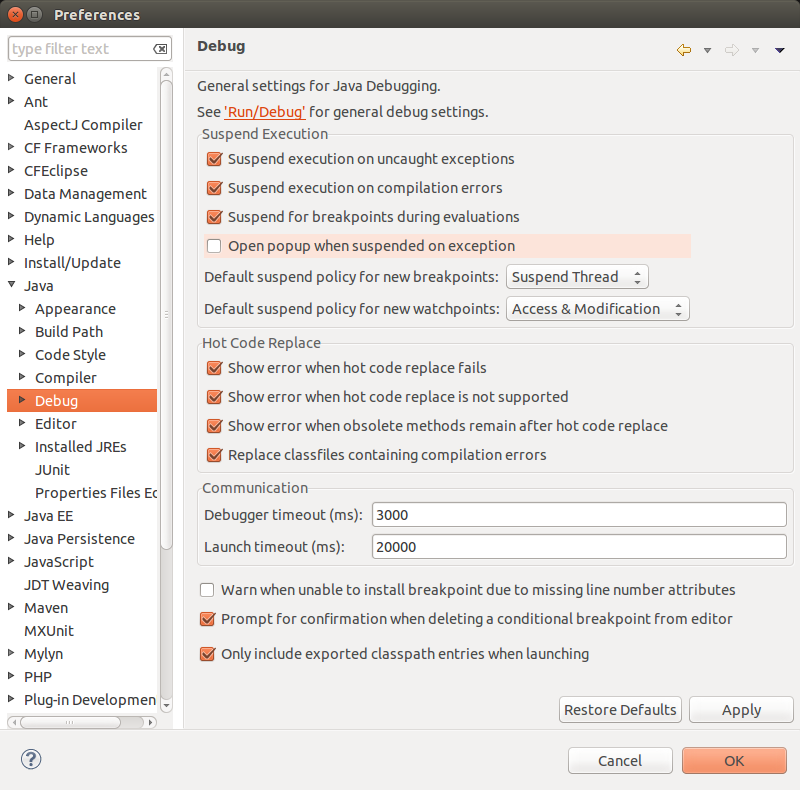 In practice we would duplicate some of the constraints in the schema, but we’ll say that our app doesn’t rely on that. In the OO world, we have a much richer programming model, so we should be able to go better than just throwing exceptions. We should be able to design our model so that many invalid operations simply aren’t available, and others return sensible defaults, nulls or result codes. Here’s an example. I need to be able to create and update user records. My invariant is that usernames must be unique. In a SQL domain model, I would put a uniqueness constraint on my username column. Any attempt to INSERT or UPDATE with an existing username would throw an exception. In theory this should be enough. In practice we tend to write application code to predict whether or not we are going to get an SQL exception. Not quite sure why we do this extra work, but the end result is the same. In an OO domain model, I can constrain the available operations to make violation of the constraint impossible. First, I create a Users object that represents the set of all users. Then I make the constructor for the User object private. I can’t actually create a new user. If I want a new user, I have to ask the Users object for it. // me = new User("jmetcher") <--- operation does not exist!! This gives the Users object a chance to enforce the invariant. If there is already a user with username “jmetcher”, it can return that object, or return a null object, or return false, or even throw an exception. Probably I’d return the existing object. So that takes care of the INSERT. What about the UPDATE? I require that the User object does not have a setter for “username”. Username is part of the logical identity of the User object, so it must be immutable. I may provide a utility method (say, on Users) to change a username, but that will be a maintenance activity – low-level, stop the world, reorganize my data kind of thing. It’s not part of the defined behaviour of a User. me.setUsername("notjmetcher"); <--- operation does not exist!! In this example, I’ve made my User object “richer” by hiding the constructor and taking away a setter – not by adding stuff. A good domain model makes direct manipulation of the domain data a safe operation. Make manipulating your data safe – without you having to remember to validate before save, or copy before manipulate, or save before exit. Manipulating data safely while obeying invariants sounds like bread-and-butter CRUD to me. What Riccardo says in the first article I linked above is so clear, at least to me. How is it that Charles in the second article doesn’t get it? Maybe OOP is like all design thinking, like design patterns and agile methodologies. If you can’t tolerate living in a world of judgement calls, if you can’t code to a conceptual model instead of or as well as a spec, if you think a bunch of smart people making independent decisions sounds like chaos, it’s not for you. If you just want to know the rules, pick another door. These are paradigms to help you write the rules. Does anybody really think that is or can be easy? These two things are related, because selectors in general need access to the whole state tree (I think). 1. To pass state to react components, I use react-redux, where the mapStateToProps function has access to the global state. 2. To provide state to reducers, I use redux-thunk, which lets me use state-aware action creators and thereby add all required state to the action payloads. 3. Alternatively, I use the third argument to redux-react’s connect() function, mergeProps, which lets me access both global state and component properties and pass them to action creators (and through actions, to the reducers). Using these approaches, I can get access to whatever state I need, and therefore use selectors all over the place. I suspect this also lets me get away with a pretty suboptimal state tree and just paper over the gaps with global state and heavy-weight selectors. But I suspect that even with a great state tree shape and great selector design, these techniques are still going to be necessary. Maybe just less so. Where things go awry is where you want to aggregate up imports, as per Jack Hsu’s excellent article on Redux application structure. Why is it so? When you import a default export, the name of the object is actually “default”. Somewhere in the Babel/Redux/React magic factory, somebody is clever enough to use the module name as an alias for its own default export when you use that module name in a JSX tag. However, when you assign that same default export to another value and then try to use that value (as in the import * case), no such magic occurs. A short post to clarify something that was a little mysterious from the documentation. Add a parameter to around() with the type of the advised class. Use the AspectJ target() method to populate that parameter. Use the parameter value within the advice however you like. But note that you’re limited to public accessible methods and members – despite what you might think, the advice isnot within the lexical scope of the advised class. Add the parameter value as the first parameter to proceed(). This is a post in response to John Somnez’ article on DZone. The chasing of the bright shiny object has been elevated to a core value of the profession. There was a prominent article a few months back by the technical lead of a household-name internet business talking about their recent reinvention of their technology platform (sorry, reference to follow if I find it). On close reading, one thing jumped out – the part of the document on the rationale for change was packed with fluffy phrases like “old hat”, “past it”, “time for a change”, and even “we were bored with Java”. That’s right – these guys went public with the admission that they spent five-figure sums of shareholder money because they were “bored”. And the punchline? Nobody called them on it. This is seen as normal, even laudable. Possibly even “visionary”. Using Gradle for build/CI and Eclipse for development is a nice ecosystem with reasonable integration, but things get a bit trickier when we add multi-project builds and AspectJ into the mix. This post steps through some of the manual steps required to get it all working together. modelp – a project which takes the emitted classes from persistence and adds all the necessary persistence plumbing, such as hibernate mappings, optimized DAOs, etc. Details irrelevant to the multi-project configuration are omitted. The persistence project will then emit all of the classes from the model project woven with the aspects from persistence. 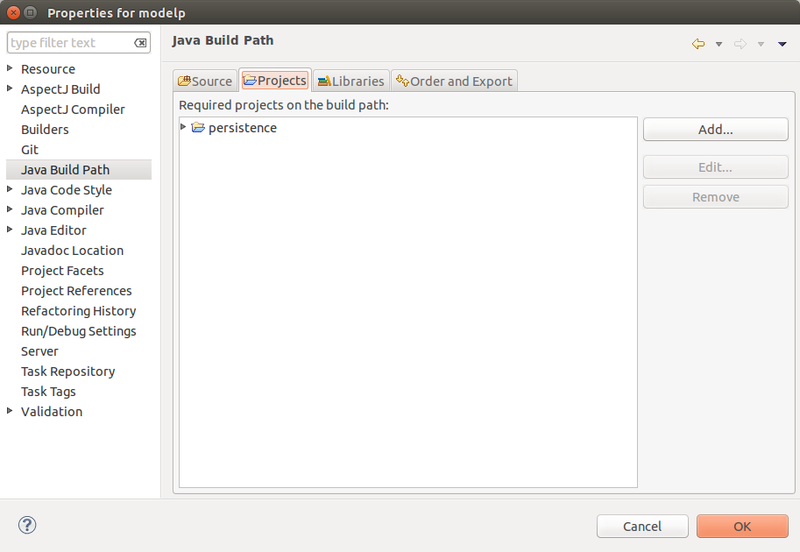 Note that the upstream dependencies of model are not woven, nor are they automatically available to the persistence project. We need to use the normal gradle dependency mechanisms if we want to do that. 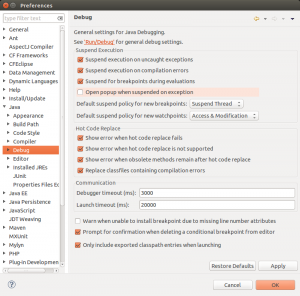 we still have some manual steps to do to recreate this setup in Eclipse. 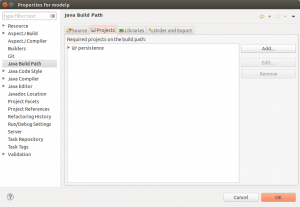 Here we come to the first difference between Eclipse and Gradle. If we add the upstream project to the inpath, AspectJ will try to weave all of that project’s referenced libraries as well. In effect, Eclipse is missing the “transitive: false” argument we used in Gradle. This is (mostly) harmless (probably), but it’s slow and can throw spurious errors. So instead of adding the whole upstream project to the inpath, we add the project’s emitted class folder. By default, adding the AspectJ nature to an Eclipse project causes it to export the AspectJ runtime (aspectjrt-x.x.x.jar). As all three of these projects are AspectJ projects, we end up with multiply defined runtimes, so we need to remove the runtime from the export list of the upstream projects. Gradle is much better than Eclipse at dealing with complex dependency graphs. In particular, if an upstream project depends on an older version of a jar and a downstream project depends on a newer version of the same jar, the newer version will win. 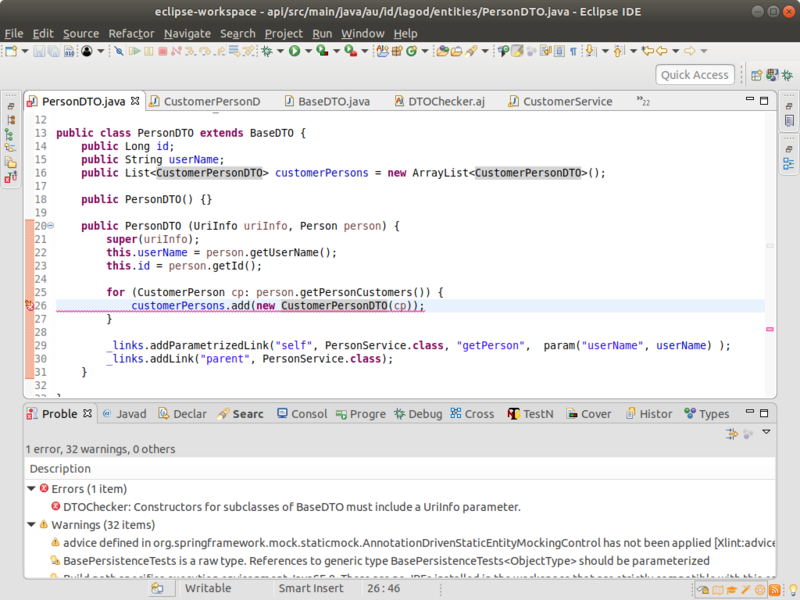 In Eclipse, both jars will be included in the classpath, with all the corresponding odd behaviour. So you might also need to tweak the export exclusions to avoid these situations. Make sure the last item, “only include exported classpath entries when launching”, is checked. Note that this applies to Run configurations as well, not just Debug configurations. The manual Eclipse configuration needs to be redone whenever you do a gradle cleanEclipse eclipse, but usually not after just a plain gradle eclipse. It only takes a few minutes to redo from scratch, but it can be a hassle if you forget a step. Hence this blog post.